NCY universal black aluminum scooter throttle tube. 7/8in or 22mm diameter with 4 cable mounting positions and tension adjuster. Will accept any threaded M10x1.25 throttle cables, such as Honda Metropolitan, Honda Ruckus, and such. 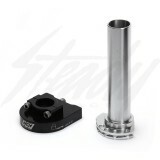 NCY universal black aluminum scooter throttle tube. 7/8in or 22mm diameter with 4 cable mounting positions and tension adjuster. 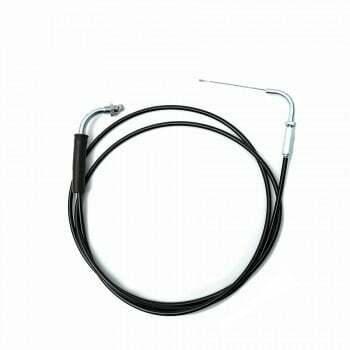 Will accept any threaded M10x1.25 throttle cables, such as Honda Metropolitan, Honda Ruckus, and such. 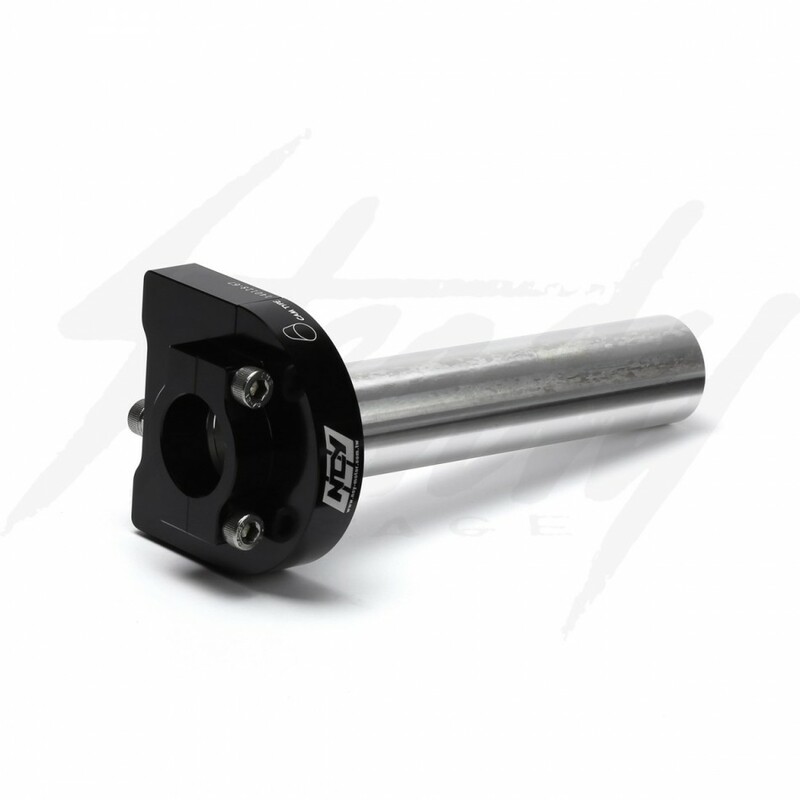 Perfect for those looking to replace their right hand controls when converting from drum brake to disc, which requires removing the OEM cable lever and perch.